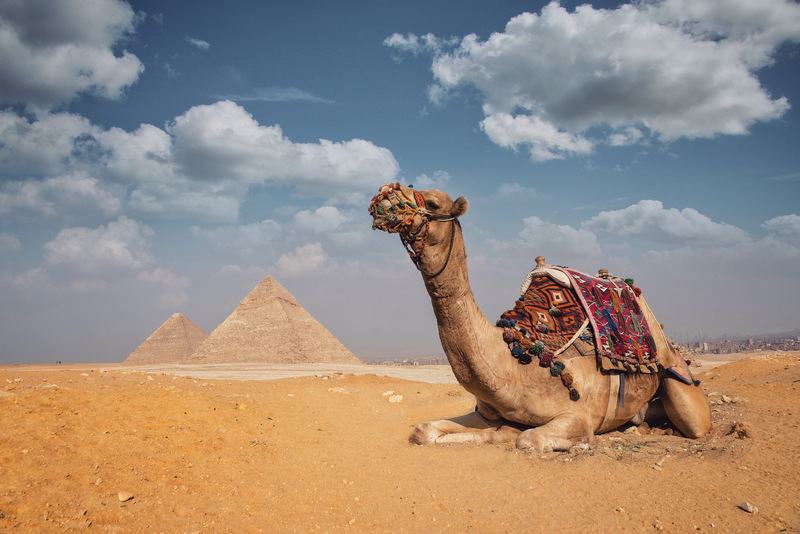 The camel, the clouds and the pyramids. The Giza pyramid complex is an archaeological site on the Giza Plateau, on the outskirts of Cairo, Egypt. It includes the three Great Pyramids Khufu/Cheops, Khafre/Chephren and Menkaure..